VATICAN CITY (CNS) — Catholics must allow the grace of their baptism and of the Eucharist to transform their lives and make them instruments of God’s grace in the world, Pope Francis said. 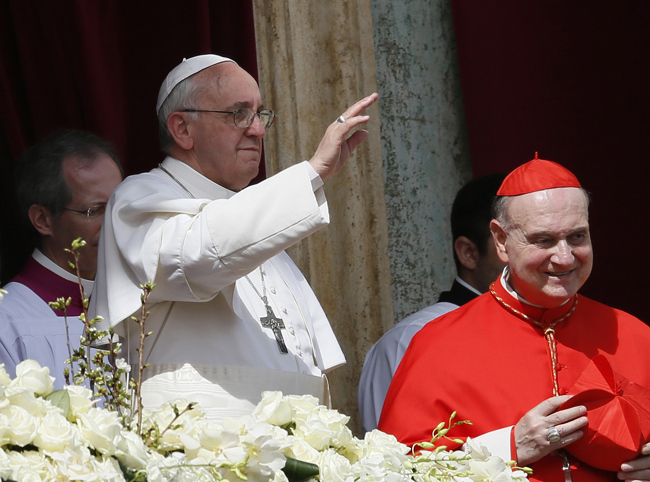 Catholics are called to allow Christ’s Easter victory over sin and death “to assert itself in their lives and to spread its beneficial action,” the pope said April 1, reciting the “Regina Coeli” prayer at noon with visitors gathered in St. Peter’s Square. 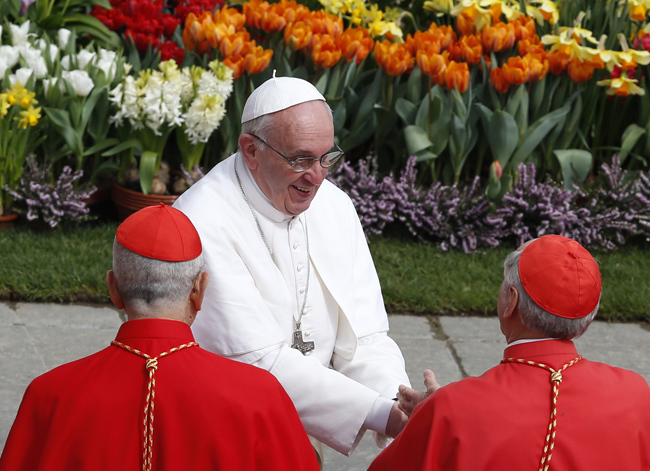 On Easter Monday, a public holiday in Italy, tens of thousands of people gathered for the five-minute appointment with the pope in St. Peter’s Square, still decorated with daffodils, tulips and other spring plants. The popes recite the “Regina Coeli” (Queen of Heaven) prayer instead of the Angelus from Easter until Pentecost. “The baptism that makes us children of God and the Eucharist that unites us to Christ must become life, translating themselves into attitudes, behaviors, gestures and choices,” he said. “With the grace of baptism and eucharistic Communion, I can become an instrument of the mercy of God,” which gives joy to life, he said. Other than reciting the “Regina Coeli,” the only appointment on the pope’s calendar April 1 was a late-afternoon visit to the necropolis under St. Peter’s Basilica and prayer time at the apostle’s tomb.